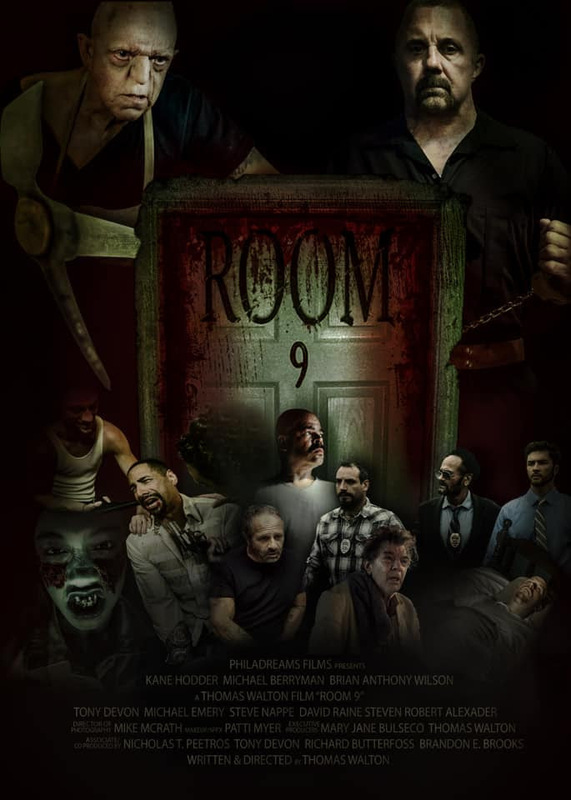 PhilaDreams Films has released the official poster for ROOM 9 starring Kane Hodder (Jason Voorhees from FRIDAY THE 13TH franchise) and Michael Berryman (Hills Have Eyes, Weird Science). Writer / Director, Tom Walton has been filming this new horror flick in the South Jersey / Philadelphia area. Brian Anthony Wilson as Zion Miller, Michael Emery as Jason Brooks, Tony Devon as Detective Michael Dakota, Greg Painter as Officer Christian Battista, David Raine as Walter Miller, Steve Nappe as Bobby D, and Michael Grasso as Johnny Lawson.